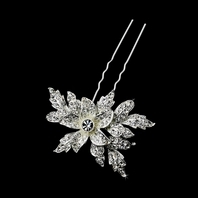 Description: These floral daisies feature beautifully hand woven silver platting with Austrian Rhinestone and Pearls! 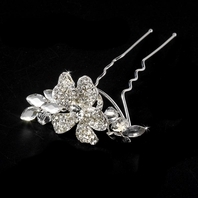 This accessory is perfect to for adding a touch of dazzle to a simple hair style. 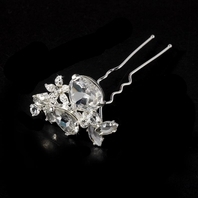 The sparkle of the crystals seem to dance throughout your hair in an never ending glow. 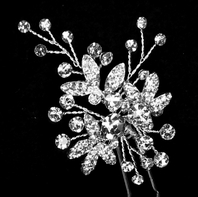 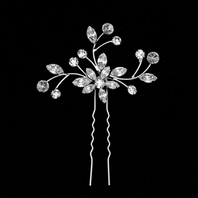 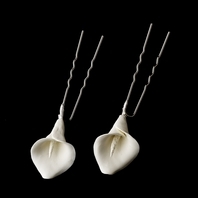 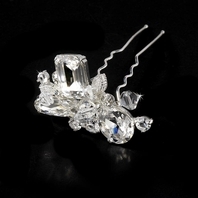 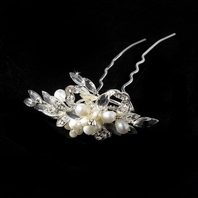 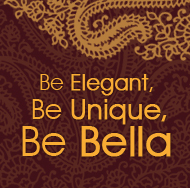 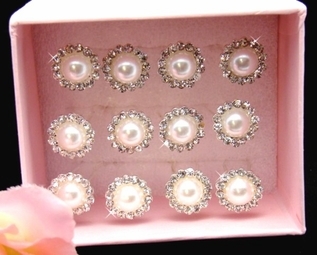 Perfect for brides, bridesmaids, proms, and special occasions Measures about 2/3" in diameter on a 2 3/4" hair pin.